Oral tradition tells of Māori first seeing Manawatū and Horowhenua by journeying along the coast or through Te Āpiti – the Manawatū Gorge. Why is south at the top of the map? 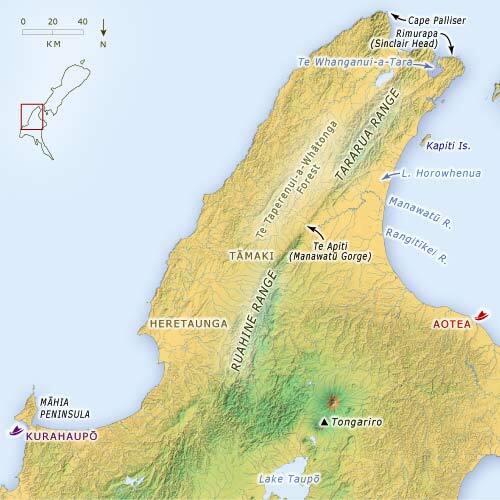 Māori referred to the area around Te Whanganui-a-Tara as Te Ūpoko o Te Ika a Māui – ‘the head of the fish of Māui (the North Island).